In this post, you’re getting a list of the 7 best CBD oils that you can currently buy. We reviewed over 30 CBD oils and tested how effective these oils are for improving your general sense of well-being. Whether you’re looking for a risk-free purchase with a 90-day money-back guarantee or a highly potent full spectrum CBD oil, every CBD oil in this list has its unique strength. Medical disclaimer: These products are not intended to diagnose, treat, cure, or prevent any disease. Always consult with your doctor/physician before starting to use any of these products, ESPECIALLY if you're already on medication. CBD oil can potentially interact with many pharmaceuticals. 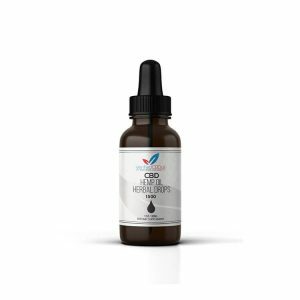 Receptra Naturals is another Colorado-based, family-owned CBD oil producer. They’re a full spectrum oil producer extracting the goods only out of the flower, meaning EVERY beneficial compound is right in their oil (all the cannabinoids, terpenoids and flavonoids). The difference between Receptra and all the other CBD oils in the list is that they use cold ethanol extraction instead of CO2 extraction. There pros and cons to both these methods. But in theory, ethanol extraction is more effective in terpenoid extraction, flavonoid extraction and retaining chlorophyll. This means as a full spectrum oil, this oil is king. Both extraction methods leave no harmful compounds in the oil, so from a health perspective no issues there. Their oil is quite modestly priced when you look at the $/mg CBD, especially when you get the more potent oils containing 1500+ mg of CBD. I find this oil really potent, more potent than 95% of CBD oil suppliers. This is the oil you should get. 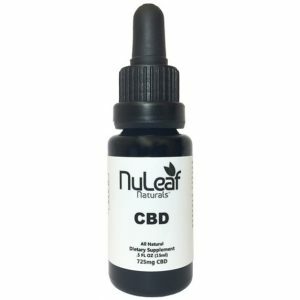 NuLeaf Naturals is a US-, Colorado-based CBD oil producer. They’re a true full spectrum cannabinoid CBD oil supplier. When you check their certificate of analysis, you see ALL the major cannabinoids and terpenoids are present. This is how every CBD oil should be. The Hemp plant contains MANY beneficial compounds besides CBD, and all these compounds enhance each other’s effects as well. For the best impact and most benefits, you need ALL of them. And if you really want to get the most out of your CBD, it's crucial that all of these other compounds are present in significant amounts, not just tiny amounts of trace elements. Well, NuLeaf Naturals proofs it's possible to have a CO2-extracted CBD oil, with very significant amounts of other cannabinoids than CBD and terpenoids. This is the best CO2-extracted full spectrum oil in the list. And when you check the certificate of analysis, you’ll see that the quantity of cannabinoids and terpenoids is high compared to other oils. This is the best CO2 extracted full spectrum oil CBD oil you can get, but also the most expensive one. Note: They ship to Europe as well and simply provide a better product than ANY of the European CBD oils I’ve tried. It’s worth the extra shipping cost! If you’re looking for a risk-free purchase, look no further. The creators of CBDPure CBD oil have so much trust in their product that they offer an unmatched satisfaction guarantee of 90 days. This is unheard of in the CBD oil industry. Test our product for 90 days, and if you don’t see any benefit, just send your order back and we’ll refund the full purchase. Your purchase doesn’t get more risk-free than this. You can find the results on their website. The price is on the higher side unless you buy large amounts like a 6-month supply for example; then it’s one of the cheaper CBD oils! 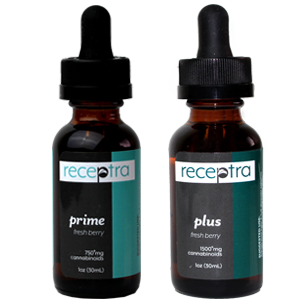 About its potency: it is a full spectrum CBD oil, which contains all the essential cannabinoids and terpenoids. CBDPure oil is the oil you should try out. The CBDistillery is one of the few big CBD-products producers which provides 3th-party lab-test results for all of its products. If you check their website, you will see per product, how much CBD and other cannabinoids it contains. They too provide full spectrum CBD oil, and when you check the results of their 3th-party lab-tests, you will see there are traces of other cannabinoids left in their oil. What they don’t provide on their website though, are the results of a terpene analysis or contaminant analysis. So, although they are pretty transparent, they’re not as transparent as they could be. The CBDistillery has built such a stellar reputation over the years, that you can have an easy time trusting they provide very high-quality CBD products. So when they say full spectrum, they most probably mean there are a decent amount of terpenoids in their product as well. And want to supplement your CBD oil intake with an easy spray or topical cream, Verified CBD is a CBD-products producer, with a wide variety of CBD products. As you can see they have some very creative formulations that you can't find anywhere else. All of their products are highly affordable. As you would expect from a high-quality CBD oil producer, their products are tested on things like purity and pollutants. And when you check their certificate of analysis, you will see this oil is entirely toxin-free and has at least some trace elements left of other cannabinoids. If you’re looking for very affordable CBD products and want to choose out of a wide range of products, VerifiedCBD is a great choice! Hemp Bombs CBD oil is the cheapest CBD oil in the list. Cheapest doesn’t mean the worst. But if you’re looking for ALL the benefits associated with CBD, it’s vital that you get a full spectrum of oil, that contains ALL the beneficial compounds found in the HEMP plant. Unfortunately, Hemp Bombs CBD oil doesn’t provide a full spectrum CBD oil. Nonetheless, you won’t find a more potent CBD-only CBD oil for this price. Some of these, like capsules and gummies, will be more convenient while you’re out and about. Hemp Bombs is the CBD-products producer you should check out. If you're looking for CBD vape oil, it's critical, that you get a CBD oil which is specially produced to be vaped. If you want to know why exactly, read the ‘How to use CBD Oil' paragraph further down below. 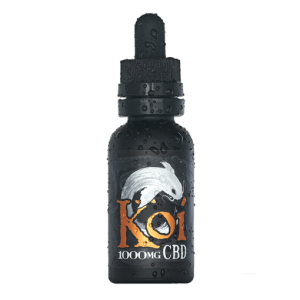 One of the few trustworthy CBD vape oil suppliers, Koi CBD is an American CBD vape oil producer, who just produces vape oils: it's their specialty. They're the only CBD vape oil supplier that provides full lab analysis for their vape oil. Harmful residual solvents like Hexane. This alone makes Koi CBD deserve a spot in our list of best CBD oils: you minimize any health risks with this oil. That's great, but what about the effects? Compared to most edible CBD oils, it's less potent if you look at the effects per milligram taken. Not because the amount of CBD is any less, but this oil is not a full spectrum oil. It misses terpenoids and flavonoids. Really only the CBD is extracted, in isolation. This means you're missing out on the entourage effect (all the compounds in the Hemp plant positively influencing and enhancing each other's healing effects). This, unfortunately, is the case with any CBD vape oil that's currently on the market. So, if you're looking for the full healing potential of CBD oil, I highly suggest you get an edible, full spectrum CBD oil like the ones above. Still, the Koi CBD vape oil can be an excellent option for instant relief in times where you don't have access to your edible oil because it's one of the most effective CBD vape oils that I've tried. CBD has neuroprotective, antioxidant, anticonvulsant, analgesic, and anti-inflammatory effects. Do these beneficial effects directly translate to CBD being a medicine? Not yet. Although there are pharmaceutical formulations that have CBD in it like Sativex, CBD as a standalone compound is not yet an officially approved medicine. Therefore, CBD is not a medicine and may not be advertised as such. Besides, there is little scientific proof that CBD can truly ‘cure’ anything. Most benefits associated with CBD relate to easing the symptoms of various conditions. All we can currently say is that CBD is a very healthy dietary supplement which may or may not help you with certain conditions like chronic pain, anxiety, epilepsy, depression, glaucoma. It’s been proven that cannabinoids like CBD have a more potent effect when taken together with all the naturally occurring compounds in Cannabis. All compounds in the Hemp / Cannabis plant influence and enhance each other’s effect/mitigate each other’s negative effects in a synergistic process which researchers call the entourage effect. The entourage effect is why it’s important you get a full spectrum CBD oil. A full spectrum CBD oil means a CBD oil which has all the cannabinoids, terpenoids and flavonoids in it, that are naturally present in the Hemp / Cannabis plant. This is also called a ‘complete plant extract’ or ‘full plant extract’. Because CBD oil is not an officially approved medicine there aren’t many scientifically backed guidelines on how to dose it. CBD has been shown to be safe and well tolerated in adults up to 1500mg/day. A 2018 study found painkilling effects of CBD with an initial dose of 100 mg/d and a progressive increase up to 300 mg/d. A 2011 study found calming effects of CBD in persons that were suffering from social anxiety disorder with a dose of 600mg. More CBD is not always better. The same 2018 study that found painkilling effects with an initial dose of 100 mg/d and a progressive increase up to 300 mg/d, found that one of the patients experienced stronger painkilling effects with lower doses of CBD (it’s unclear how much lower than 300 mg/d). As a start we recommend using the guidelines above. If you find no effect, try experimenting with the dose either by upping it (up to 1500mg/day) or lowering it from your initial dose. Unless you get a CBD oil which is specifically produced to be vaped (also called CBD vape oil, or CBD vape juice), NEVER vape your CBD oil tincture. CBD oil tinctures should only be taken orally, or even better sublingual. Drop the recommended dosage of CBD oil under your tongue and KEEP it there for at least 60 seconds. After 60 seconds, swallow it. This way the CBD and other beneficial compounds in the oil, will get directly absorbed into your bloodstream through the tissues underneath your tongue. Taken this way, the effects of the CBD oil will last 2-5 hours. What about CBD vape oil / CBD vape juice? As you would've expected, you should vape this. It's crucial that you know your particular CBD oil can be used in a vaporizer. How can you know this? You want to be 100% sure that there are no edible oils like olive oil or coconut oil used in your CBD oil. The vaping of edible oils over a more extended period is dangerous for your health and can cause Exogenous Lipoid Pneumonia. And are specifically named ‘CBD vape oil' or ‘CBD vape juice'. If you vape it, the oil will take effect immediately, but will only last 1-2 hours. Peak effects of orally administered CBD are highly variable between individuals, but usually, occur between 1-2 hours after oral ingestion. How fast CBD leaves the system again is also highly variable between individuals. There haven’t been many studies that looked at the interaction of CBD with other drugs, so in general be very careful with CBD oil if you’re taking other drugs, and always consult with your doctor if you’re on medication! CBD has been shown to be a potent inhibitor of the following enzymes: CYP450, CYP2D6, CYP2C8, CYP2C9, CYP2C19, CYP2A4, and CYP3A4. All of these enzymes play a role in the metabolism of many pharmaceutical drugs. This means that CBD has the potential to interact with any pharmaceutical drug that gets metabolized, at least partially, by one of these enzymes. In medical terms any pharmaceutical drug that gets metabolized through these enzymes is called a ‘substrate’ of that particular enzyme. Cocaine for example is a substrate of the CYP3A4 enzyme. This mean high doses of CBD could significantly decrease the metabolization of cocaine. In fact, a study done on mice found exactly that. But what they also found was that CBD only significantly decreased the metabolization of CYP substrates like cocaine, when taken in extremely high doses off 30mg/kg. Such a high CBD dose far surpasses the currently maximum recommended dose of 1500mg/day. Other studies point towards the same effect of CBD only being a strong inhibitor of the CYP enzymes when taken in high doses, but in some cases this ‘high dose’ is lower than the currently maximum recommended dose of 1500mg/day. In general, if you’re dosing higher than 8-25 mg/kg/day, you need to be extra careful for potential drug-drug interactions when taking CBD. Again, if you plan to take CBD doses of higher than 5 mg/kg/day and are already on medication, please consult with your doctor before taking any CBD. If you want you can use the summary of medicinal product characteristics of the synthetic 9 -THC and CBD mixture (Sativex®) as a general guideline for potential drug-drug interactions when taking CBD. Sativex may interact with alcohol, affecting co-ordination, concentration and ability to respond quickly. In general, alcoholic beverages should be avoided whilst using Sativex, especially at the beginning of treatment or when changing dose. Patients should be advised that if they do drink alcohol while using Sativex the additive CNS effects may impair their ability to drive or use machines, and increase the risk of falls. When you buy CBD oil it’s crucial that it’s extracted without being heated. A study which looked at peak plasma concentrations of CBD in a comparison of capsules filled with either unheated or heated cannabis extracts containing 10 mg THCtotal (THC + THCA) and 10–15 mg CBDtotal (CBD +CBDA), found that peak plasma CBD concentrations were 4 times higher in the unheated extract! Hemp seed oil is another super-healthy oil. But if you're looking for the therapeutic effects of CBD, there are some critical differences between these oils, which make them completely different. And which make Hemp seed oil quite a useless product for you, if you're looking for the benefits associated with CBD. Although in rare cases CBD oil is produced from high CBD / low THC marijuana strains, in the majority of cases, CBD oil is produced from the Hemp plant. Hemp (seed) oil is produced from the seeds of the Hemp plant. The Hemp plant has a very different biochemical makeup than its seeds, which you'll learn about next. The major difference in biochemical make-up between the Hemp plant and its seeds is that the Hemp plant contains CBD. This means the only way to create CBD oil, is to extract CBD from either Hemp plants or Marijuana plants. It's simply impossible to extract therapeutic amounts of CBD, from Hemp seeds. Hemp seed oil contains many beneficial compounds as well, but no (therapeutic amounts) of CBD whatsoever! Now that you know the differences in biochemical make-up between these 2 different oils, you'll also understand why these oils have a different effect on you and your body. CBD has shown to have the potential to be beneficial for a wide variety of conditions and unique beneficial properties for your health in general. Hemp seed oil cannot provide you with these! Just realize that CBD oil is not an officially approved medicine and it's not intended to diagnose, treat, cure, or prevent any disease. Always consult with your doctor/physician before starting to use any of these products, ESPECIALLY if you're already on medication. CBD oil can potentially interact with many pharmaceuticals. Lastly, if you want to share this CBD knowledge, click the links below OR if you want to connect with us, click the links below that to go to our Facebook or Instagram pages.